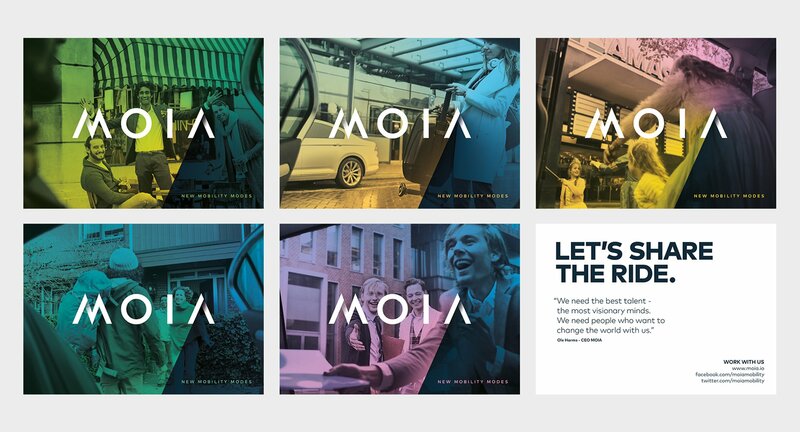 MOIA: The Future of Mobility. 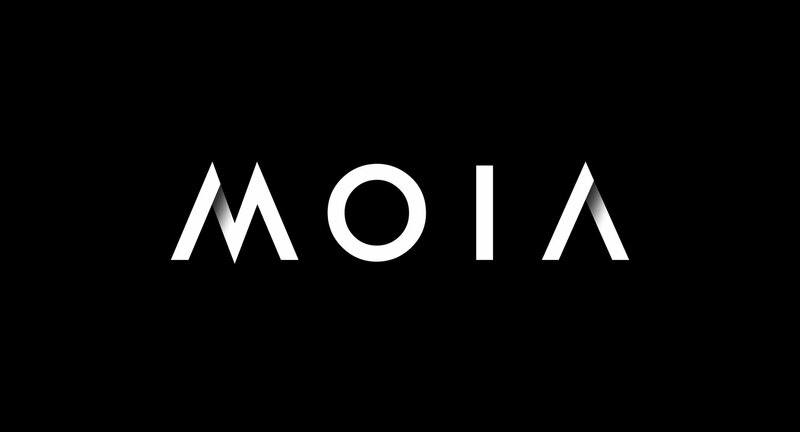 MOIA is a project initiated by German automotive manufacturer VW. A future-oriented project that’s not only focused on car-sharing, but on mobility on demand, for the population at large. 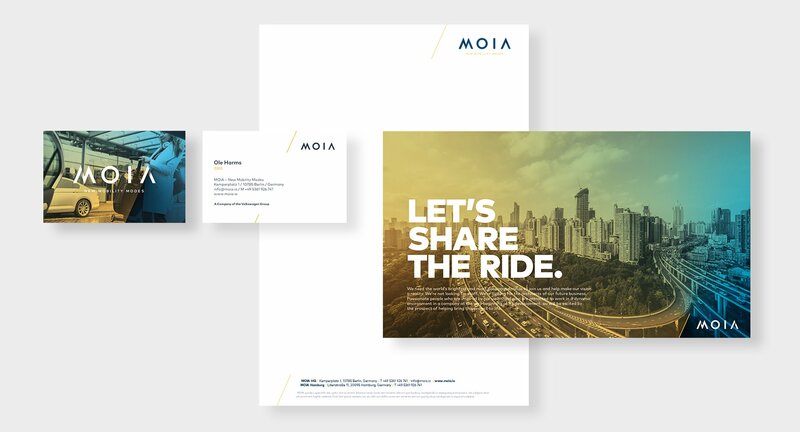 The idea is to establish MOIA as a top mobility service provider by 2025, with a fleet of vehicles autonomously cruising urban areas, picking up and transporting individuals or groups from A to B, whenever they need it. Few­er and few­er city-dwellers own their own car, car-shar­ing ser­vices are pop­ping up all over the world, and still cities are more and more con­gest­ed. Based on a big data mod­el, the MIT cal­cu­lat­ed that 95% of taxi rides in New York could be avoid­ed if pas­sen­gers agreed to share the ride, which would cause aver­age delays of only 3 min­utes. 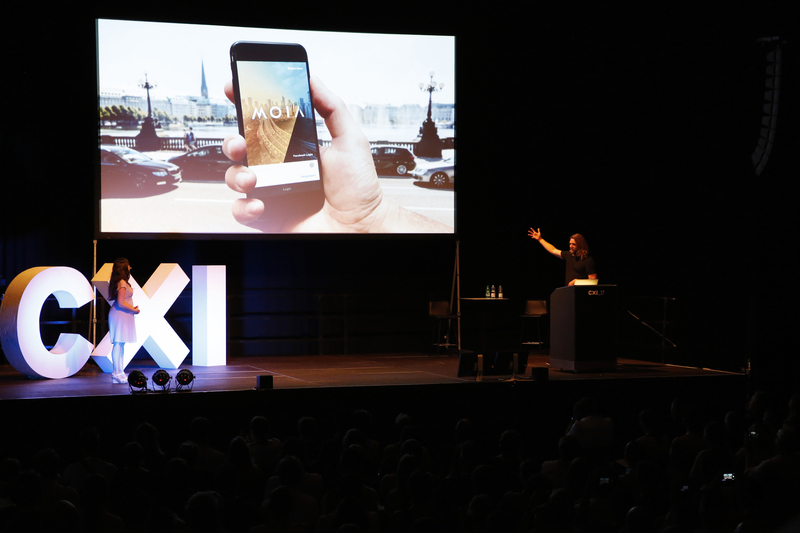 Chang­ing the world there­fore requires a trans­for­ma­tion of our old notions of mobil­i­ty, accord­ing to Maria Soni Reiss­felder, MOIA’s Head of Mar­ket­ing and Com­mu­ni­ca­tion. Com­pa­nies like Uber Pool­ing already offer car-pool­ing ser­vices in the Unit­ed States, but these con­cepts were not far-reach­ing enough for VW. An exten­sive co-cre­ation-process was used to visu­al­ize sce­nar­ios on how to solve urban trans­port prob­lems in the future. Fac­tors such as pol­lu­tion, noise and con­ges­tion were also tak­en into con­sid­er­a­tion, as were pas­sen­ger com­fort and a num­ber of spe­cial require­ments on the vehi­cles used – a holis­tic approach to pas­sen­ger trans­porta­tion. Coop­er­a­tion with cre­ative agency Khanna\Reidinga Ams­ter­dam start­ed with an RFP, a request for pro­pos­al, in which the agency had to pro­vide esti­mates and a time-table for the project, in addi­tion to cre­den­tials and a cre­ative con­cept, before being giv­en the chance to ful­ly grasp the idea. The infor­ma­tion avail­able for devel­op­ing a cor­po­rate design was extreme­ly abstract, as the actu­al prod­uct was still non-exis­tent. Maarten Ver­steege and his team at K/R there­fore draft­ed their own brief­ing, cre­at­ing a mood­board for the project to iden­ti­fy and define the project’s objec­tives. Maria Soni Reiss­felder was impressed by the Dutch team’s verve; their ideas were total­ly dif­fer­ent from those pre­sent­ed by oth­er agen­cies VW had worked with in the past. Khanna\Reidinga Ams­ter­dam won the pitch. The next step was to actu­al­ly cre­ate the brand, and to breathe life into the prod­uct. The agency was not real­ly hap­py with the prod­uct name des­ig­nat­ed at the time, as it didn’t real­ly hit the mark. “The client knows their brand best and our job is to get to know it. What is the big pic­ture, what is the core, what is the one need? “– Maarten Ver­steege, Design Direc­tor and Cre­ative Part­ner at Khanna\Reidinga. Sev­er­al work­shops were sched­uled, dur­ing which the team explored the brand’s core, kick­ing off a new nam­ing-process “When you real­ly under­stand the prob­lem, the solu­tion will flow.” The way K\R sees it, this future-ori­ent­ed Volk­swa­gen project is so inno­v­a­tive and vision­ary, to out of the ordi­nary and off the beat­en tracks that it comes across as mag­ic – just like the inven­tions dur­ing the ear­ly indus­tri­al rev­o­lu­tion, that often met with a lot of skep­ti­cism. 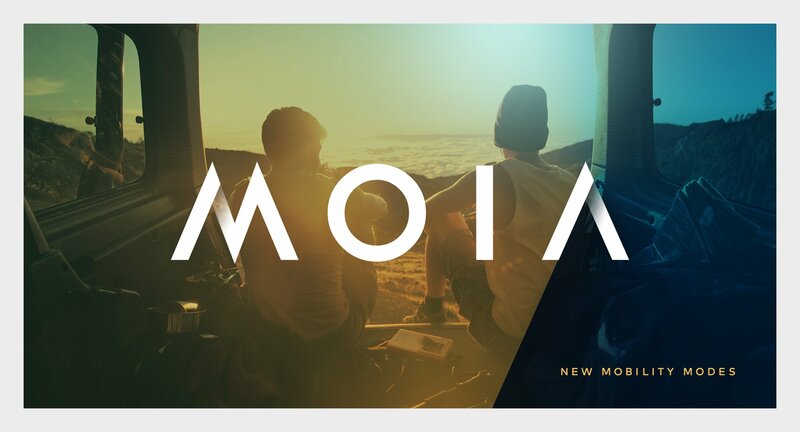 A new name was born: MOIA, derived from ‘Maya´, mean­ing ‘Mag­ic´ in San­skrit. As opposed to the gen­er­al­ly mas­cu­line, func­tion-focused image sought by the auto­mo­tive indus­try, the cen­tral issue of mobil­i­ty was expressed emo­tion­al­ly, in mood­boards explor­ing the abstract dimen­sions of mobil­i­ty: time, space and con­text. This inspired the design­ers to come up with a time­less, open design sys­tem, offer­ing a max­i­mum degree of flex­i­bil­i­ty and expand­abil­i­ty to accom­mo­date pos­si­ble future require­ments. The word mark was pro­vid­ed geo­met­ric shape and depth by stress­ing the ascend­ing diag­o­nal. Drop­ping the hor­i­zon­tal bar of the let­ter A opened up anoth­er lev­el of mean­ing: turn­ing the logo upside-down results in the let­ters IO – sig­ni­fy­ing the bina­ry sys­tem – being framed by VW. Futu­ra rep­re­sents anoth­er link to VW. Dynam­ic, tran­si­tion from A to B is expressed by gra­di­ents. The image con­cept com­pris­es urban land­scapes and peo­ple inhab­it­ing their cities, pho­tographed through car win­dows. The pilot project is sched­uled for kick-off next year, in Ham­burg. Savvy Maria Soni Reiss­felder was not will­ing to hint at the look of the inter­face and the prod­uct expe­ri­ence.